Prolific Adventure & Science Fiction Novelist Edgar Rice Burroughs sadly passed away on March 19, 1950 after suffering a Heart Attack. He wrote almost seventy novels during his career and created many popular enduring characters but he is perhaps best known for his creation of the jungle hero Tarzan and the heroic Mars adventurer John Carter. Burroughs was born on September 1, 1875, in Chicago, Illinois (he later lived for many years in the suburb of Oak Park). he was educated at a number of local schools, and during the Chicago influenza epidemic in 1891, he spent a half year at his brother’s ranch on the Raft River in Idaho. He then attended the Phillips Academy in Andover, Massachusetts, and then the Michigan Military Academy. Graduating in 1895, and failing the entrance exam for the United States Military Academy (West Point), he ended up as an enlisted soldier with the 7th U.S. Cavalry in Fort Grant, Arizona Territory. So he started writing the exciting science fiction series Barsoom, which debuted in 1912 and featured a Confederate American Civil War veteren from Virginia named John Carter, who inexplicably finds himself transported to the planet Mars and discovers that far from being dead, Mars, which is known as “Barsoom” by the locals) is actually inhabited by 12-foot tall barbarians called Tharks, Intelligent & scientifically minded red skinned people from the neighbouring City of Helium, villainous Warlords, intelligent Therns, Pirates, Giant White Apes and vicious thug like Warhoons. Carter discovers that the land is in turmoil and the various inhabitants are at war with each other over th planets dwindling resources and the situation is being manipulated by shadowy forces. So he undertakes a perilous journey across Barsoom, encountering many dangers along the way, in order to unite the population against a common enemy and fairly soon he finds himself in the midst of all-out war between the forces of good and those of destruction, the outcome of which will determine the fate of everyone on Barsoom. Burroughs also produced works in many other genres including The Land That Time Forgot (1918),and had his first story, “Under the Moons of Mars”, serialized in All-Story Magazine in 1912. Burroughs soon took up writing full-time and by the time the run of Under the Moons of Mars had finished he had completed two novels, including Tarzan of the Apes, which was published from October 1912 and which went on to become one of his most successful series. Burroughs also wrote popular science fiction and fantasy stories involving Earthly adventurers transported to various planets (notably Barsoom, Burroughs’ fictional name for Mars, and Amtor, his fictional name for Venus), lost islands, and into the interior of the hollow earth in his Pellucidar stories, as well as westerns and historical romances. Along with All-Story, many of his stories were published in The Argosy. 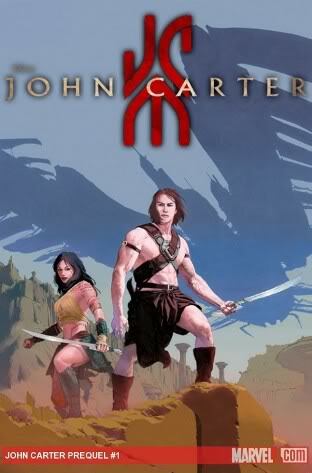 Many of his novels have also been adapted from film including Tarzan of the Apes, Land that time Forgot and John Carter and there is also a sequel to John Carter in the works. Thanks to the enduring popularity of the Barsoom and Tarzan series of novels Burroughs set up his own company, Edgar Rice Burroughs, Inc In 1923 and began printing his own books throughout the 1930s.Then In 1941 At the time of the attack on Pearl Harbor, Burroughs was a resident of Hawaii and, despite being in his late sixties, he applied for permission to become a war correspondent. This permission was granted, and so he became one of the oldest war correspondents for the U.S. during World War II. After the war ended, Burroughs moved back to Encino, California, where, after many health problems, he died of a heart attack on March 19, 1950, having written almost 80 novels. British science fiction author, inventor Sir Arthur Charles Clarke, CBE, FRAS, Sri Lankabhimanya, sadly passed away on 19th March 2008, born 16 December 1917. 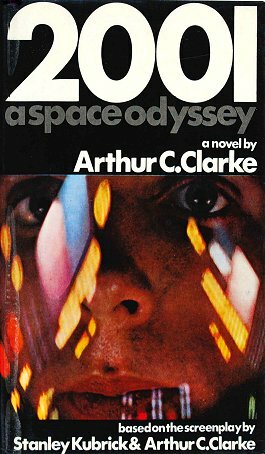 He was famous for his short stories and novels, among them 2001: A Space Odyssey (1968), Profiles of the Future, Rendezvous with Rama and The Fountains of Paradise. He was also a host and commentator in the British television series Mysterious World. For many years, Robert A. Heinlein, Isaac Asimov, and Clarke were known as the “Big Three” of science fiction. Clarke served in the Royal Air Force as a radar instructor and technician from 1941 to 1946. In 1945, he proposed a satellite communication system—an idea that, in 1963, won him the Franklin Institute Stuart Ballantine Gold Medal. He was the chairman of the British Interplanetary Society from 1947–1950 and again in 1953. Clarke lived in Sri Lanka from 1956 until his death, having emigrated there when it was still called Ceylon, first in Unawatuna on the south coast, and then in Colombo. The Sri Lankan government offered Clarke resident guest status in 1975. He was an avid scuba diver and a member of the Underwater Explorers Club. In addition to writing, Clarke set up several diving-related ventures with his business partner Mike Wilson. In 1956, while scuba diving in Trincomalee, Wilson and Clarke uncovered ruined masonry, architecture and idol images of the sunken original Koneswaram temple — including carved columns with flower insignias, and stones in the form of elephant heads — spread on the shallow surrounding seabed. Other discoveries included Chola bronzes from the original shrine, and these discoveries were described in Clarke’s 1957 book The Reefs of Taprobane. In 1961, while filming off Great Basses Reef, Wilson found a wreck and retrieved silver coins. Plans to dive on the wreck the following year were stopped when Clarke developed paralysis, ultimately diagnosed as polio. A year later, Clarke observed the salvage from the shore and the surface. The ship, ultimately identified as belonging to the Mughal Emperor, Aurangzeb, yielded fused bags of silver rupees, cannons, and other artefacts, carefully documented, became the basis for The Treasure of the Great Reef. Living in Sri Lanka and learning its history also inspired the backdrop for his novel The Fountains of Paradise in which he described a space elevator. This, he believed, would make rocket based access to space obsolete and, more than geostationary satellites, would ultimately be his scientific legacy. His many predictions culminated in 1958 when he began a series of magazine essays that eventually became Profiles of the Future, published in book form in 1962. A timetable up to the year 2100 describes inventions and ideas including such things as a “global library” for 2005. The same work also contained “Clarke’s First Law” and text that became Clarke’s three laws in later editions. Clarke Sadly passed away on 19th March 2008 in Sri Lanka. He was knighted by Queen Elizabeth II in 1998 & was awarded Sri Lanka’s highest civil honour, Sri Lankabhimanya, in 2005.